Wearing jewelry is essential to helping women developed their own style. For women wishing to create a look that's unique, the last thing they'll want to invest money in is mass produced pieces of jewelry. It's for this reason alone, learning the skills needed for making silver and costume jewelry could prove extremely beneficial. When it comes to making such pieces you need to know where to purchase the right kinds of supplies. 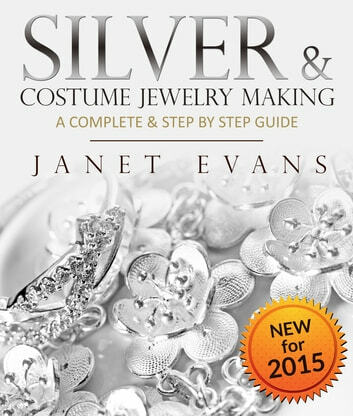 In this book, " Silver & Costume Jewelry Making: A Complete Step by Step Guide (Special 2 In 1 Edition)" not only do we discuss what's needed to start your own silver & costume jewelry making venture but also provide several projects you may want to try out. The actual process of turning a piece of silver into a piece of jewelry is not only very technical, but also allows your artistic side to flourish. Once you've finished making silver jewelry either for yourself or for someone else, it can prove extremely satisfying, especially as you watch the piece develop and grow. In addition, if you're someone who has an eye for fashion and enjoys making their own things, why not save yourself money by making your own costume jewelry. Even the simplest pieces of costume jewelry can be overpriced, so why spend money on such accessories when making them for yourself could save you a great deal of money. Of course when it comes to making your own jewelry there are certain things you need to consider before you do. The first thing you need to consider before you begin the process of learning how to make costume jewelry is what type you wish to make. The best way of determining what style of jewelry you want to make is to look through various magazines and see what's on offer in stores locally. It's also a good idea to gain inspiration for your costume jewelry designs by visiting museums or art galleries. You may even gain inspiration for your designs when out for a walk. 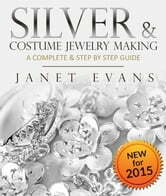 For more tips and tricks, download " Silver & Costume Jewelry Making: A Complete Step by Step Guide (Special 2 In 1 Edition) " now!